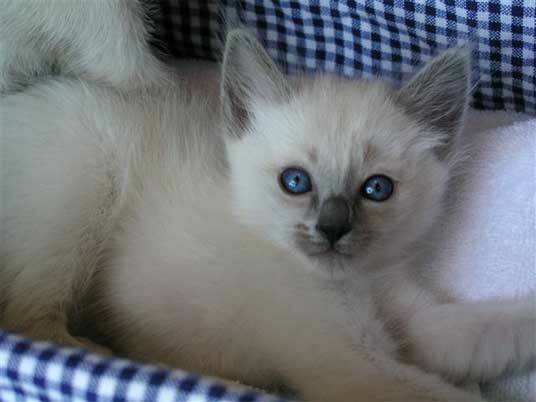 All photos of Balinese cats on this page are kind courtesy of Carolina Blues Cattery. Simply beautiful cats. Balinese are really longhaired Siamese. Long hair is a recessive gene and appears in Siamese litters from time to time. 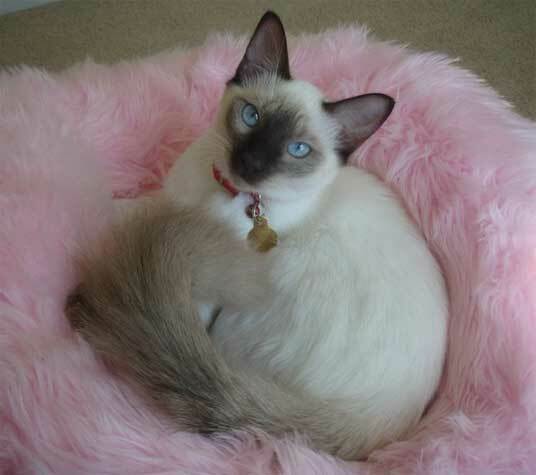 Balinese were first registered as Longhaired Siamese in Britain in 1928 and were predominantly sold as pets, because they were viewed as a peculiarity. After World War II, however, a Californian breeder worked on the breed, and her Longhaired Siamese were shown in 1955, recognized by American cat registries in 1961, and then in Europe in the 1970s. 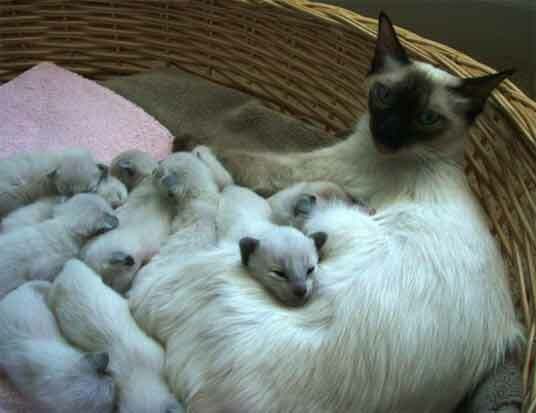 The name was changed to Balinese around this time because breeders did not want to give the name Siamese to a cat that did not have the true Oriental look of the shorthaired cat. The breed gained popularity and as breeders "worked" on it, they developed two separate types of Balinese - traditional Balinese recognized in North America and contemporary Balinese, recognized in Europe. The traditional Balinese that are featured on this page have the same 'point' markings as the Siamese which can come in the four traditional colors of seal, blue, chocolate and lilac. 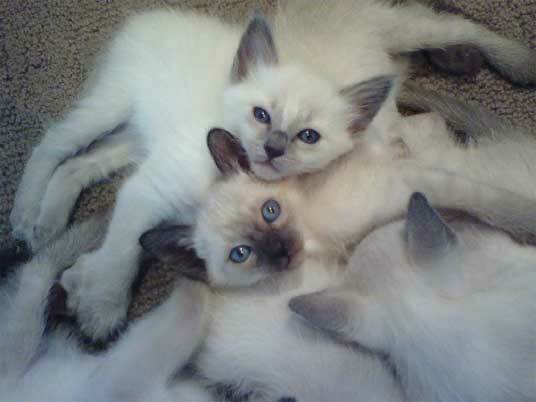 They resemble a Siamese, but have a medium-length silky coat and a plumed tail, but are not as fluffy as Himalayan cats. They do not have the ruff around the neck as the Himalayans do, however, and are much sleeker. Their coats tends to darken as the cat gets older. Contemporary Balinese come in a wider range of colors and also tabby patterns. They have a shorter coat and are almost identical to Siamese except for the plumed tail. The heads of nearly all Balinese are wedge-shaped, although some owners prefer an apple shape. The eyes of all types are vivid blue. As elegant as they look, Balinese are an agile, playful and intelligent cat that like to be in the middle of whatever is going on - they like attention and enjoy human company, but are not as vocal as the Siamese. Balinese are also highly entertaining and benefit from having another cat around. They enjoy sitting on laps and being cuddled, making great companions.